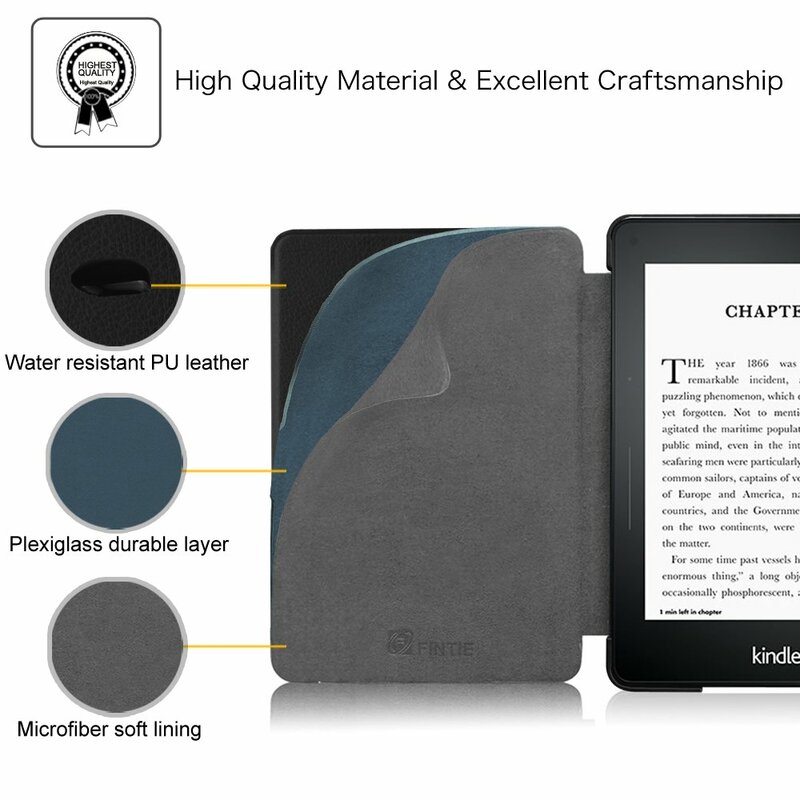 Protect your Kindle Voyage with this Fintie Slimshell Case at all times! 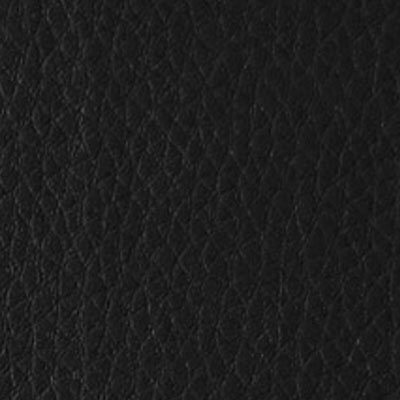 The Fintie Slimshell Case sports a simple and classy design. 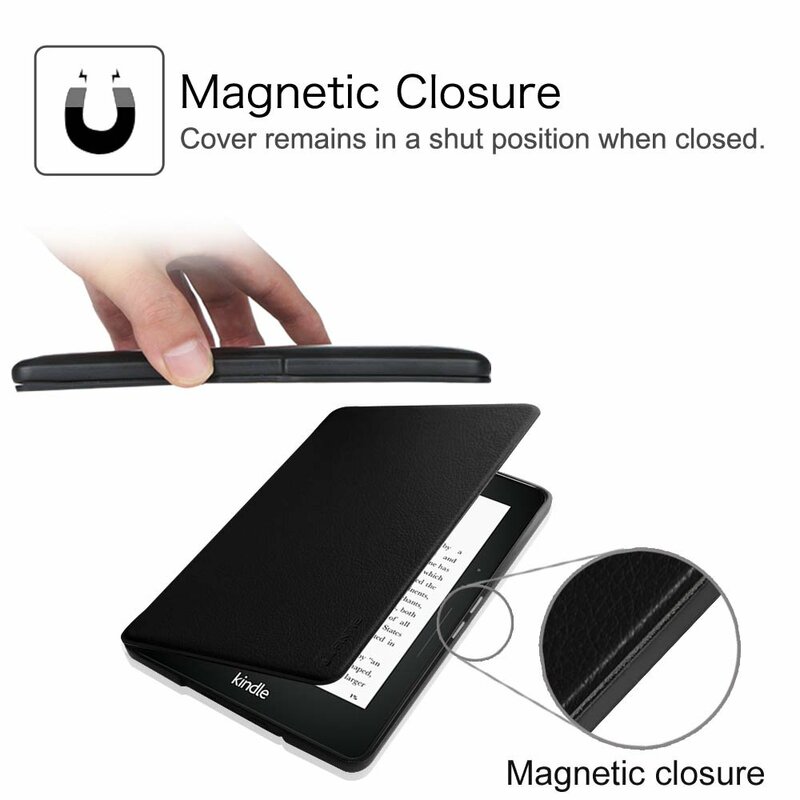 The back shell is made from durable polycarbonate material so you do not need to worry about any damages. 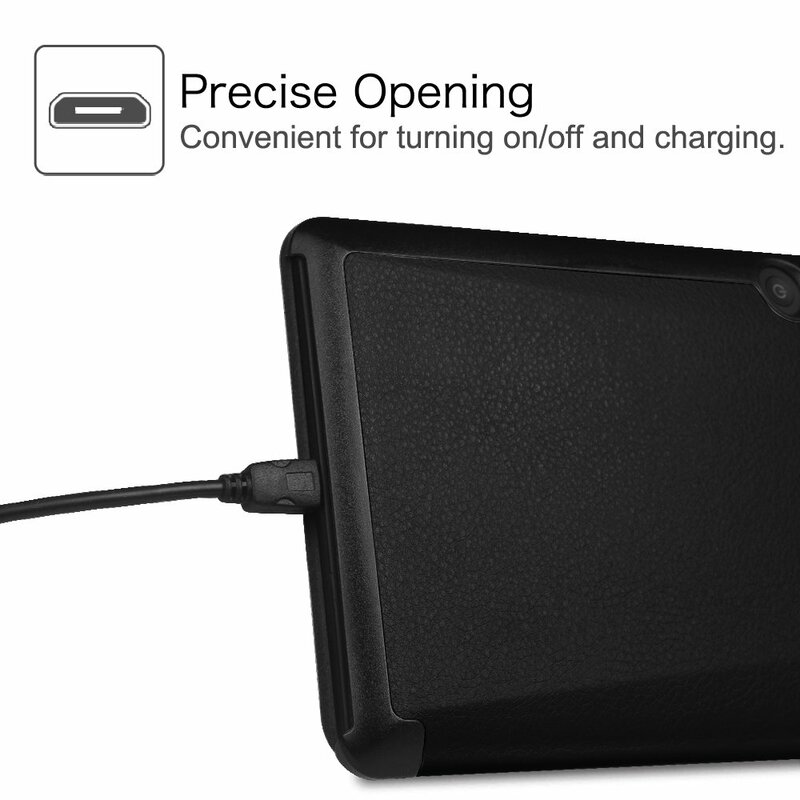 It offers an easy clip-on application. 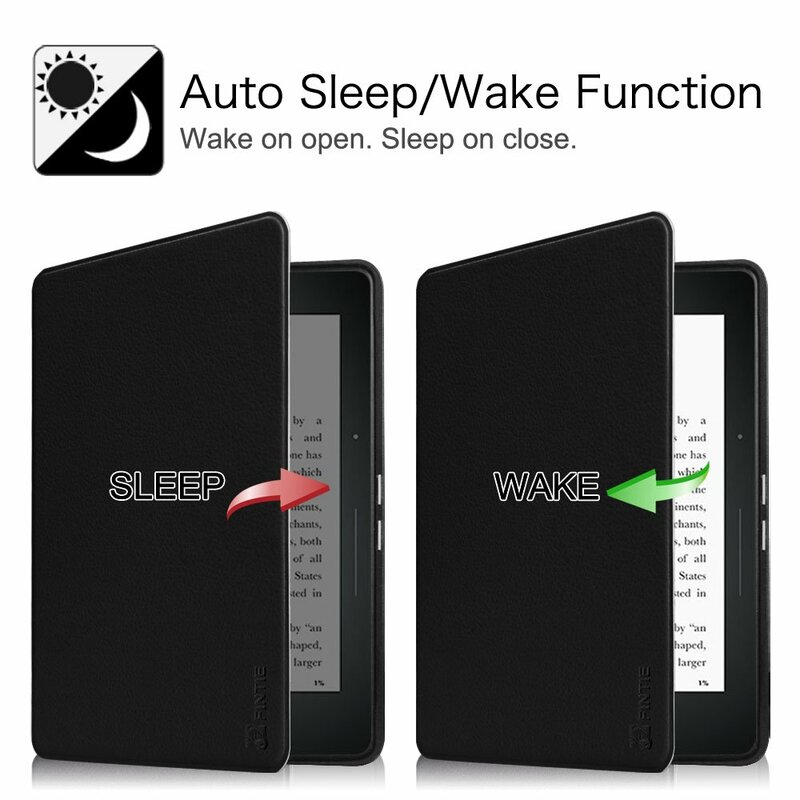 The cover is designed to fold back, so you can read comfortably with just one hand. 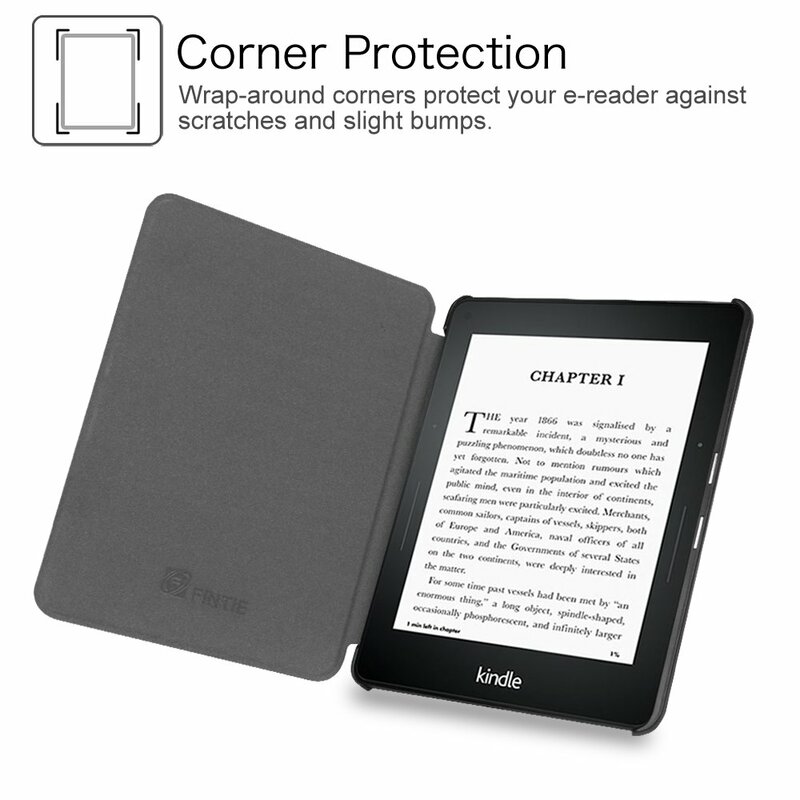 Our innovative cover was designed to specifically fit your Kindle Voyage and secures your device without any hinges or straps. 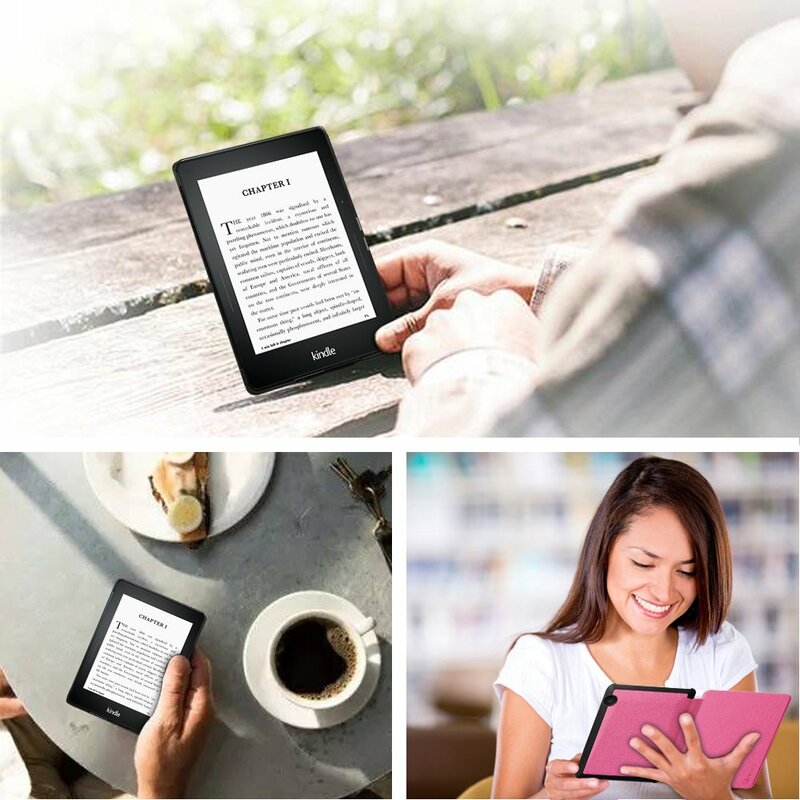 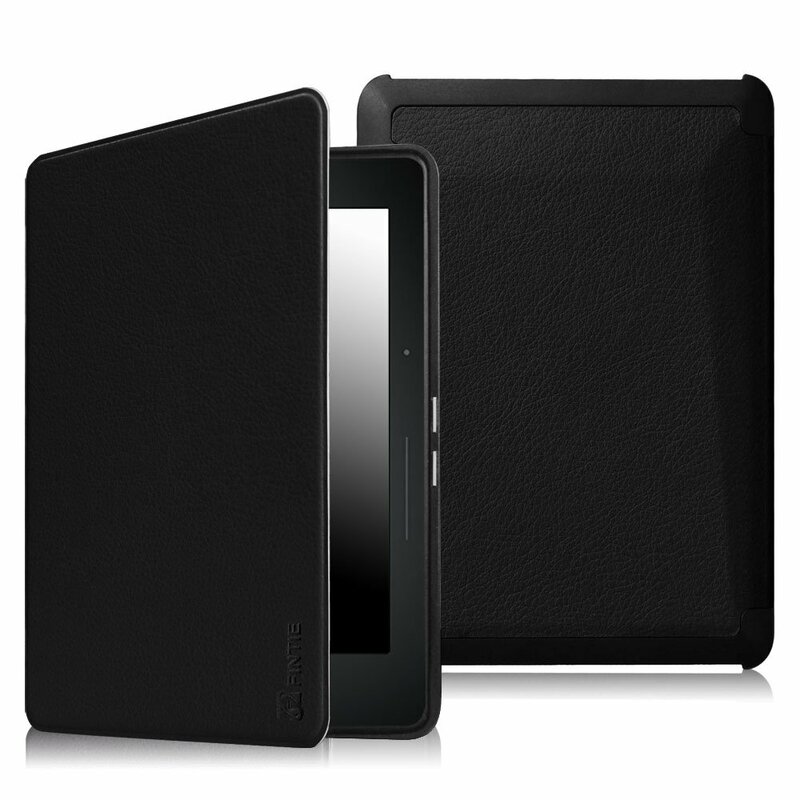 Thin, lightweight, and durable, this cover is perfect for taking Kindle Voyage wherever you go. 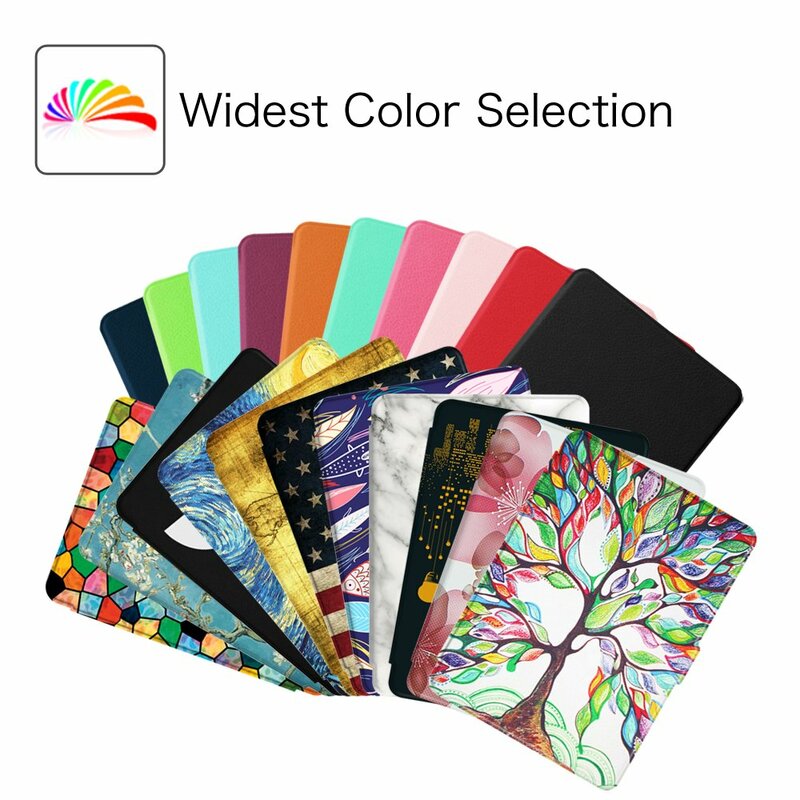 The Fintie Slimshell Case comes in a variety of bright, fun colors, the widest selections to suite your taste.